A USA based OEM was looking for Xilinx parts but they could not be found within the timescale. It was offered parts by a broker in China which were advertised as “refurbished”. After further investigation, the OEM found out the parts were on scrap PCBs which the broker had bought from a local CEM. However the part were still on the PCBs, and the PCBs were in ESD bags, in boxes. The broker was planning on outsourcing the recovery and refurbishment of the BGAs to a local company in Shenzhen, however Retronix was asked by the OEM to do the BGA recovery. We recovered the Xilinx parts and others from the PCBs locally in Shenzhen. This was done using our new “IC Rescue” process that recovers ICs without a reflow cycle in order to comply with the IC manufacturers’ specifications. The parts were packed and shipped to our European facility. Shipping of the ICs only was low cost. The remainders of the PCBs were sent for recycling in Shenzhen. 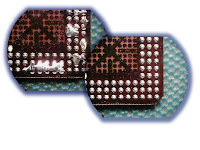 Retronix then removed the excess solder from the BGAs, using a controlled process without reflow or abrasion, then cleaned the parts and immediately reballed them. The parts were mechanically & electrically inspected and packed to be shipped to the USA based OEM. The parts were placed without any issue and zero failures were reported. The remainder of the parts were held by Retronix pending sale by the broker, and were sold with a “Retronix Certified” certificate of conformance, protecting the broker and the end user.